three minutes in current traffic. Nestled in the boonies of our frigid province and glued to the Gatineau River, this cozy, friendly, quintessentially-Canadian small town is where The Strain hangs its hat. Adhering to their modest beginnings, the band’s roots are equally quaint. 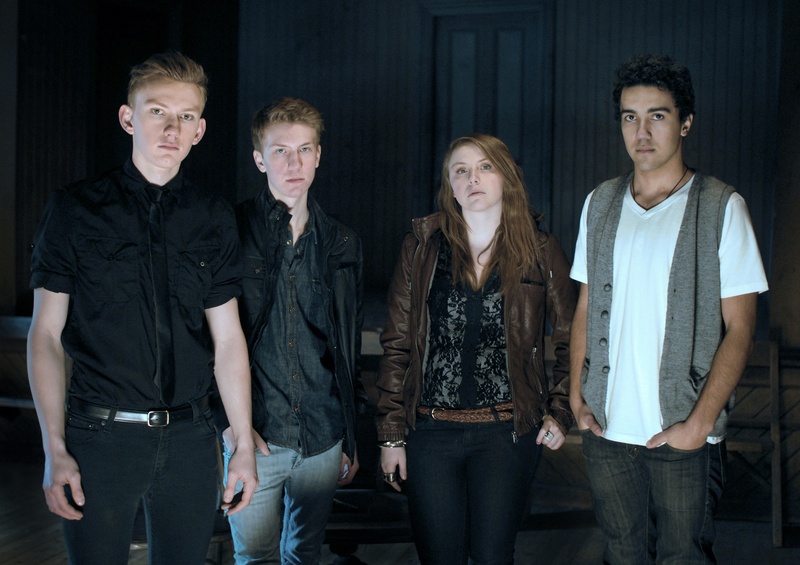 Today, the self-proclaimed “electro/alt-pop-rock” group is comprised of siblings David and Rylee Taggart, their cousin Alex Serre, and longtime childhood friend Nick Johnston. When The Strain started out, however, it was merely half its current size. “[Serre] and I have been in bands forever, since I was 12 or 13 and he was 10,” said David. “We were just a duo, in cover bands doing Green Day, Nirvana, and The Beatles.” At 15, they were opening for screamo bands at the Black Sheep Inn, a venue that has helped put Wakefield on the map. Family friend Nick, who had his own solo guitar act, was also taken on, and The Strain was born. Since that fateful fusion, progressing as a unit has been smooth and natural. “Being in a band with your relatives is a lot easier because you don’t have to beat around the bush,” David said. The singer/guitarist admits to having the occasional sibling argument with his sister, but smooth sailing is the norm. Big Money Shot, a competition open to bands around the Ottawa region, was an essential stepping stone towards success. Out of 60 participating bands, The Strain took home the $25,000 grand prize. The winnings went towards funding their tour, buying some gear, and hiring a public relations company. And of course, their humble roots backed them up every step of the way. The band’s small-town upbringing also played an indispensable role in the production of their music. “A lot of our songs were influenced by the characters that were in our small town and the stuff they do,” said David. On Three Sheets in the Wind, the track “Earl” pays homage to Wakefield’s very own town drunk — a character indeed. From the days of diaper bags — David cites one particular video from Alex’s first birthday in which Nick can be seen getting “run over by his mammoth dog” — to their current tour across the Canadian East, The Strain has been and will always be a family affair. The Strain plays Petit Campus on Monday, Jan. 28 at 8 p.m.